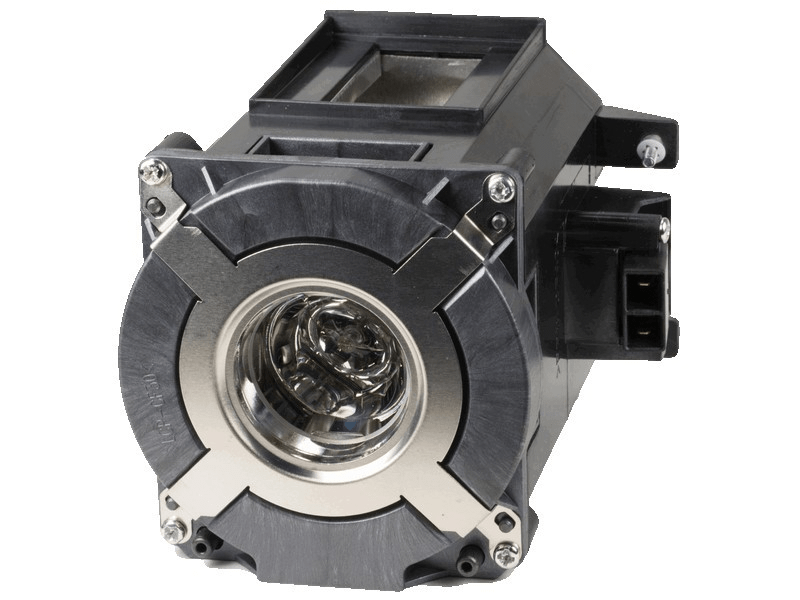 The NP26LP NEC projector lamp replacement comes with a genuine original 330 watt Ushio brand bulb inside rated at 6,200 lumens (brightness equal to the original NEC lamp replacement). The NP26LP lamp has a rated life of 3,000 hours (4,000 hours in Eco mode). Our NEC NP26LP replacement projector lamps are made with a high quality USHIO brand NSH bulb with main components made in Japan. Beware of cheaper lamps made with generic bulbs with lower quality and lower light output. Purchase with confidence from Pureland Supply with free ground shipping and a 180 day warranty. NP26LP NEC Projector Lamp Replacement. Projector Lamp Assembly with High Quality Genuine Original Ushio Bulb Inside. NEC lamp purchased over 2 years ago and still running strong. These lamps seem to hold up much better than some other companies we have tried. Lamp works great and is very bright. Excellent service - spoke to a very friendly customer service agent and had the lamp the very next day. We have 2 NEC units and will surely come back here for the next one.